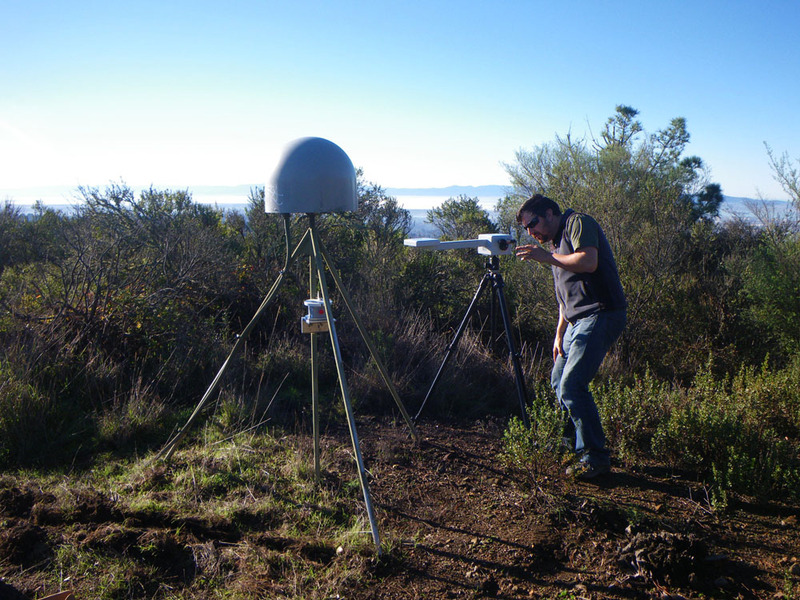 Between December 2014 and February 2015, UNAVCO installed 10 accelerometers at existing Plate Boundary Observatory (PBO) GPS sites in the San Francisco Bay Area. 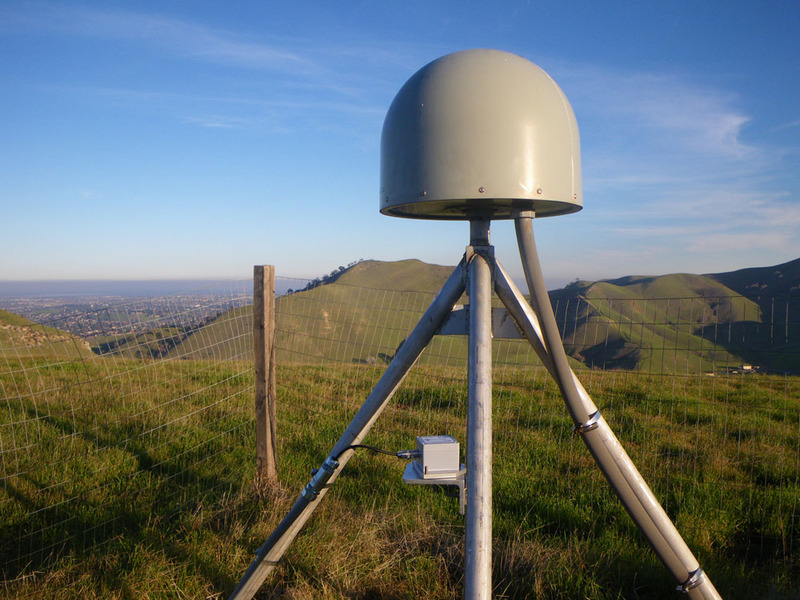 Accelerometers in combination with high-precision GPS data provide a new interdisciplinary data type: full spectrum displacements based on an optimal combination of geodetic and seismic data. These can significantly improve finite fault slip modeling through full waveform inversion of the earthquake source. 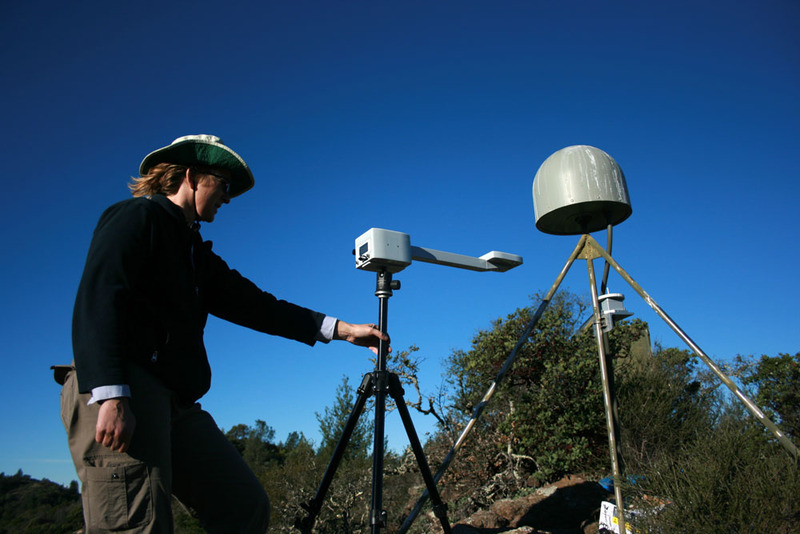 Applied in real-time, this information is an essential input in models for prototype earthquake early warning systems. The instruments are low-cost MEMS (micro-electro-mechanical system) accelerometers, designed at the Scripps Institution for Oceanography. Tests with shake tables indicate that the low-cost instruments are interchangeable with more expensive observatory-grade instruments in boreholes. This network upgrade follows a similar upgrade of 12 PBO sites in Southern California, in a joint project between UNAVCO and Scripps. The 10 sites in the Bay Area were selected with input from the science community, based on site location with respect to major faults and to fill gaps in real-time monitoring coverage of combined GPS and seismic data. 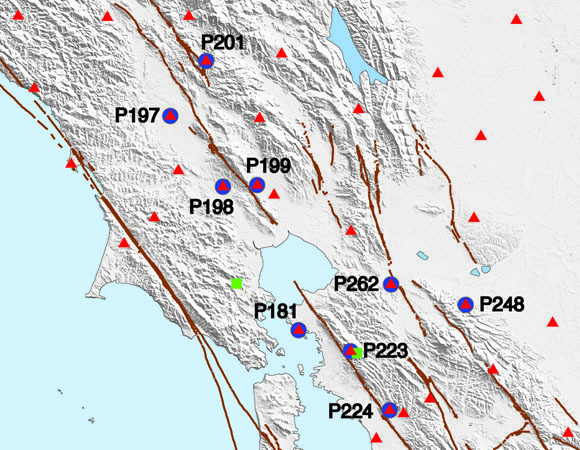 Four sites are along the Rodgers Creek Fault (P197, P198, P199, P201) extend coverage to the Northbay. Two sites near the Concord and Greenville Faults (P248, P262) provide new coverage in this area. 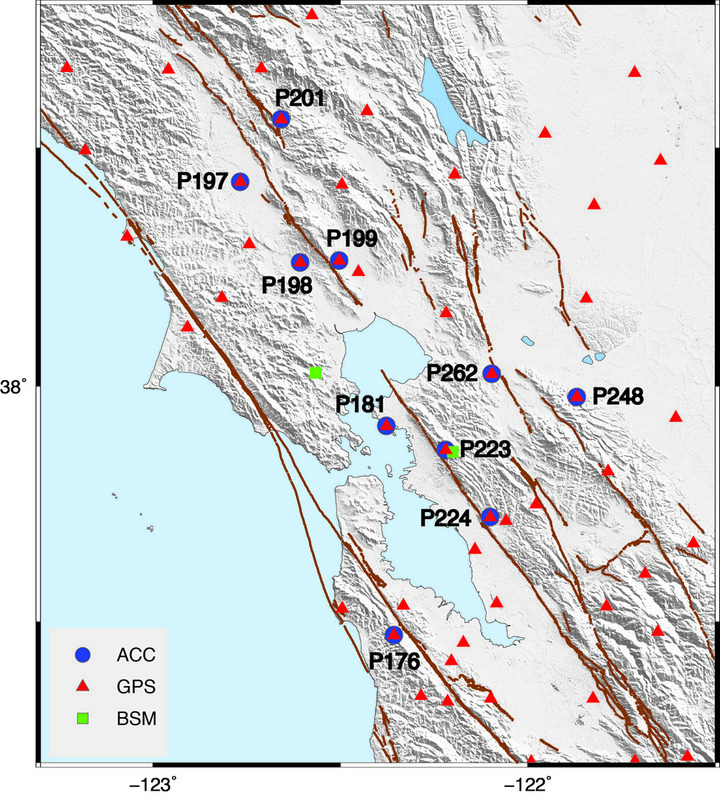 Three sites on either side of the Hayward Fault (P181, P223, P224) augment existing coverage. One site along the San Andreas Fault (P176) plants a seed for future expansion in this area. The accelerometer is attached to the vertical leg of the GPS monument and aligned to true north. 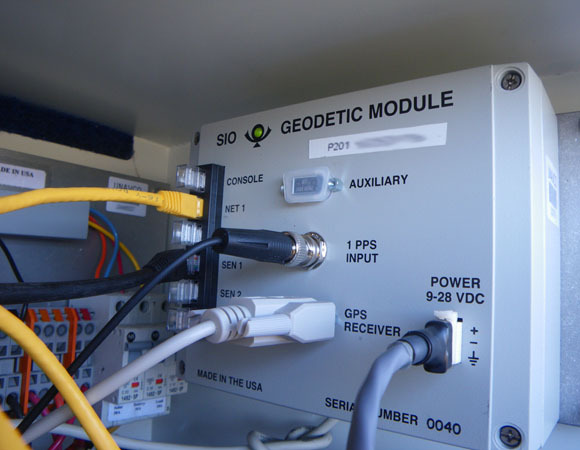 A data cable connects it to the Geodetic Module (GM) located inside the GPS equipment enclosure. The seismic data are sampled at 100 Hz. 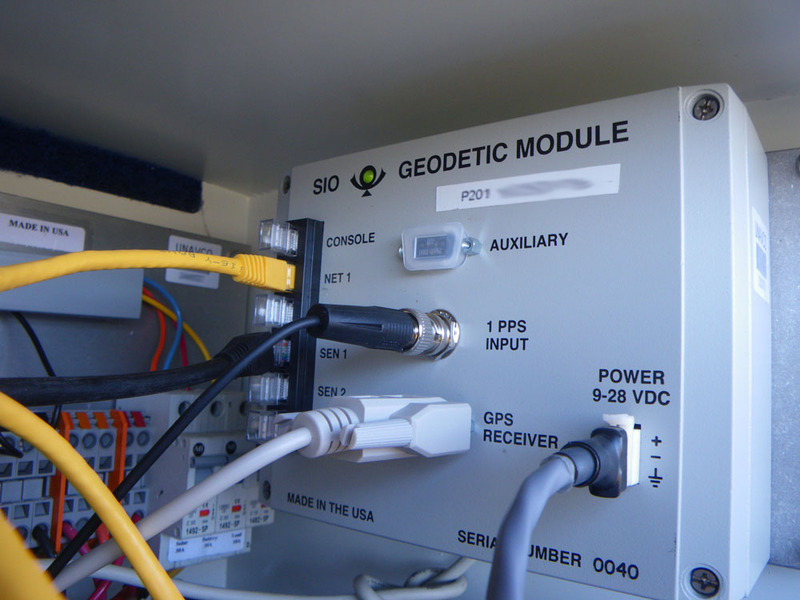 Currently, combined seismogeodetic data are analyzed at a computer away from the station, but in next-generation systems, the Geodetic Module will perform the waveform analysis directly at the station. 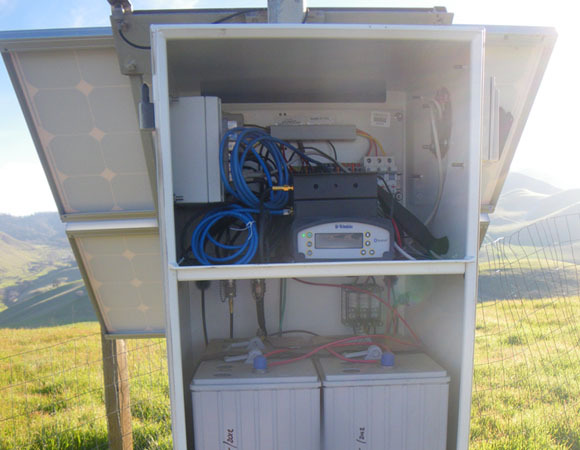 All 10 sites were also upgraded to GNSS-capable antennas and NetR9 receivers, and are streaming GPS and accelerometer data in real-time. 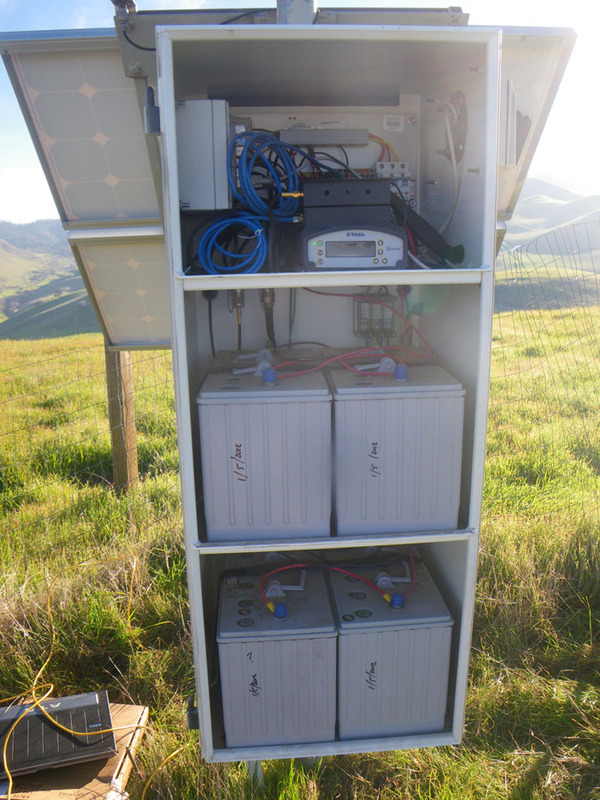 GPS and accelerometer streams are routed to Boulder and are publicly available from the UNAVCO data archive. 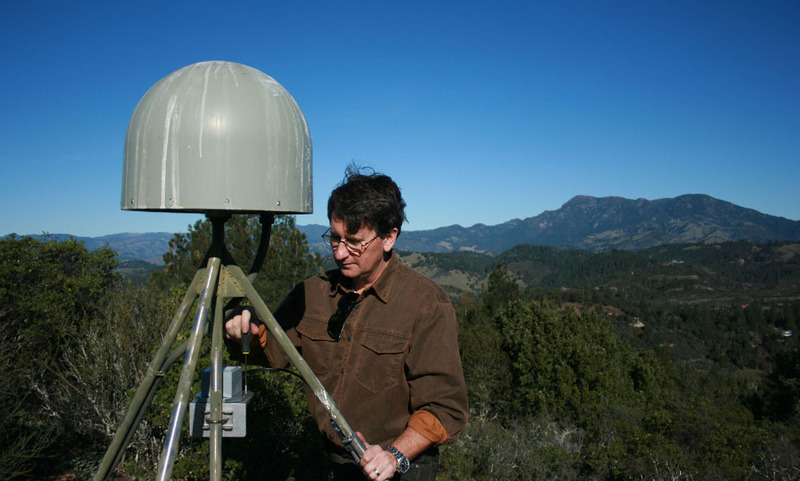 Seismometers and GPS each provide data that are critical for earthquake early warning. 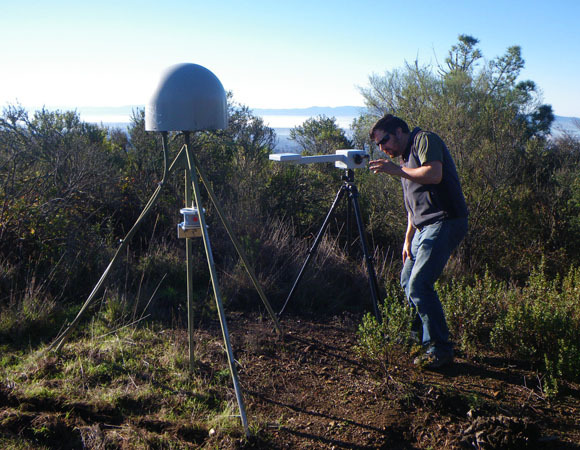 Seismometers, with very high-rate and high-frequency data capture, are good for recognizing and locating earthquakes, and determining magnitude if the earthquake is small to moderate in size (Mw < 7). 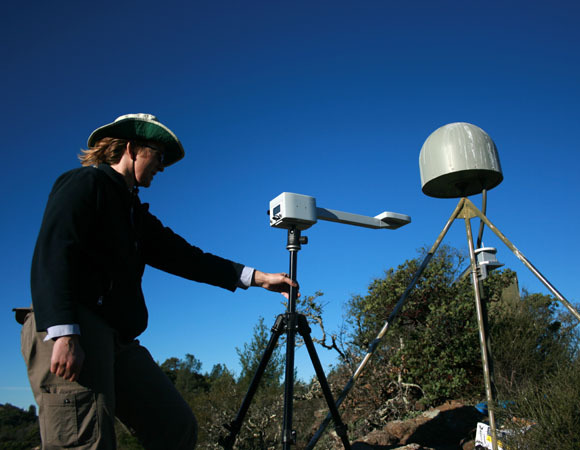 GPS measures the lower frequency motions of static offsets (how much the ground moves as a result of the earthquake, without moving back), yield a clear picture of the extent of the rupture and are good for determing earthquake magnitude and extent, especially for large events (Mw > 7). 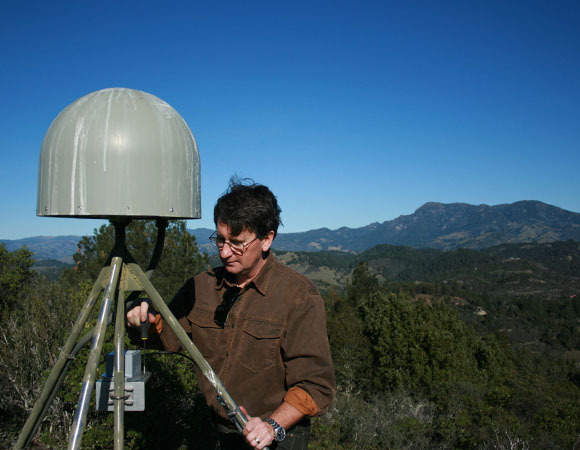 Together, seismometers and GPS can quickly yield earthquake occurance, location, magnitude, and extent. This information is crutial in providing warnings of when, where, and how intensly shaking will occur.